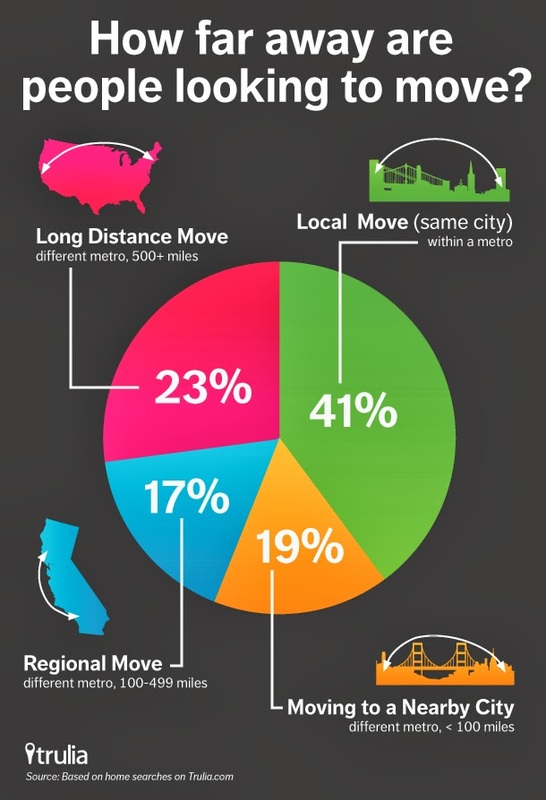 Do you know why people move & where are they moving? The reasons may be different. Some people move due to education, some people move due to job & some people move as per their own choice or may be due to some other reasons however it is also important to know how far away are people moving? Below displayed inforgraphic beautifully tells the details about "how far away are people moving?"